Color/Appearance: Heartwood is a dark reddish (sometimes purplish) brown to nearly black. Pale yellow sapwood is clearly demarcated from heartwood. Heartwood ages to almost black. 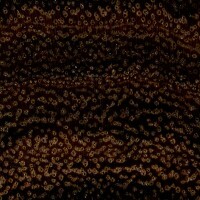 Grain/Texture: Grain can be irregular or wild. Has a fine, uniform texture with a very good natural luster. 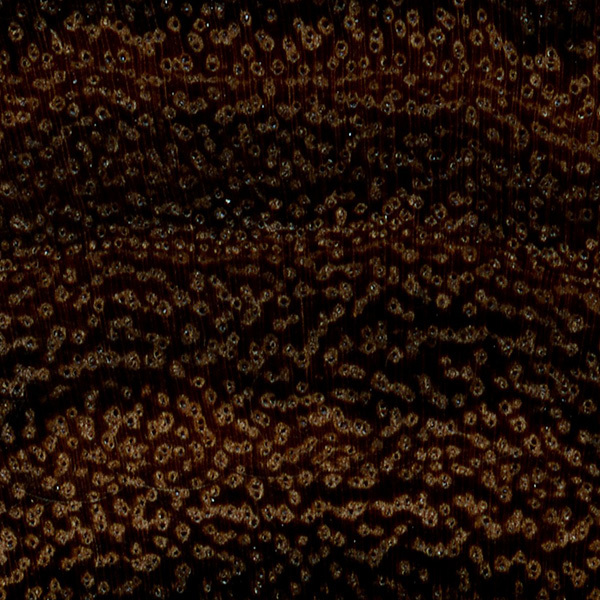 Endgrain: Diffuse-porous; large pores in no specific arrangement, few to moderately numerous; solitary and radial multiples of 2-3; heartwood gum deposits (reddish brown) common; growth rings indistinct; narrow rays not visible without lens, spacing normal; parenchyma vasicentric, lozenge, and confluent. Rot Resistance: Reported to be very durable regarding decay resistance. Workability: Can be difficult to work on account of its density, but turns superbly, and able to take a very high natural polish. 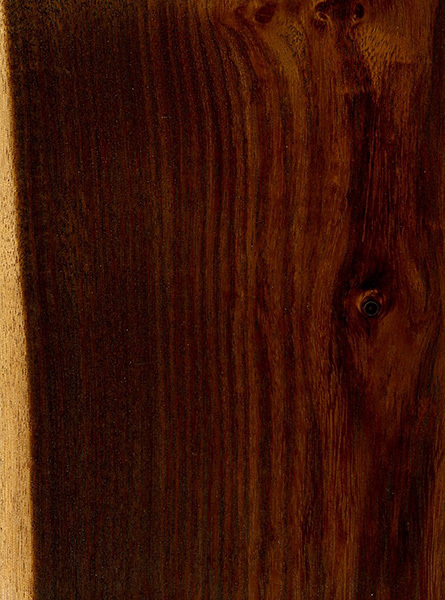 Allergies/Toxicity: Besides the standard health risks associated with any type of wood dust, no further health reactions have been associated with Texas Ebony. See the articles Wood Allergies and Toxicity and Wood Dust Safety for more information. 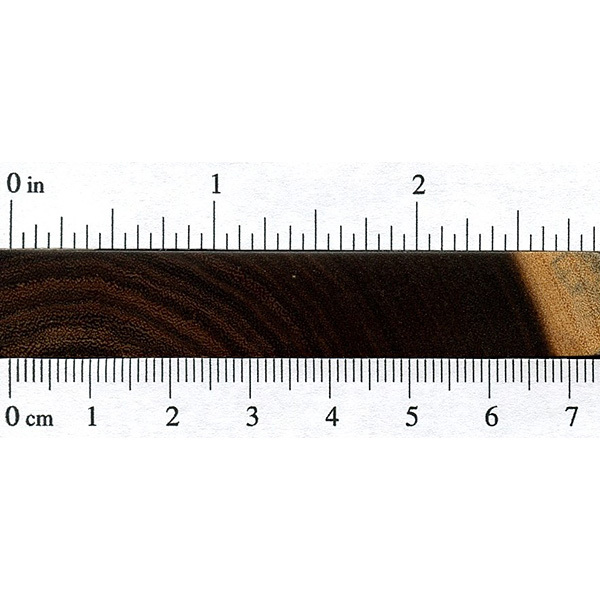 Pricing/Availability: Not commercially harvested for lumber, small pieces of Texas Ebony can sometimes be found for sale on a very limited basis for hobbyist and specialty applications. Knots, checks, and other deformities are common in larger pieces. Expect prices to be very high for a domestic species. 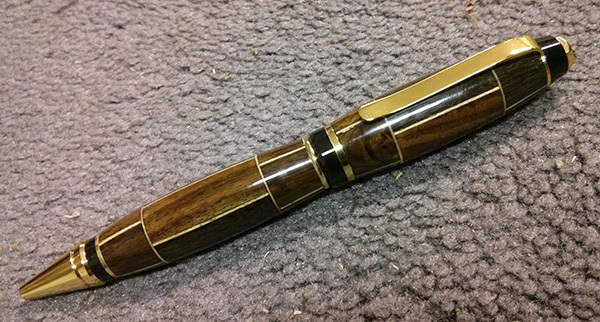 Common Uses: Knife handles, inlay, fine furniture, turned objects, and other small, specialty wood items. 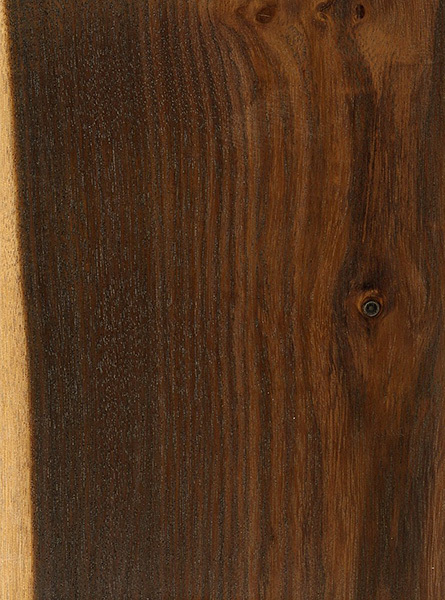 Comments: In addition to Desert Ironwood, Texas Ebony might be considered one of the only “exotic” hardwoods that’s native to the United States. How do u remove a dead Ebony stump? If it’s dry light a fire on it that’ll get rid of the stump. I definitely disagree that this wood has no odor. It smells horrible when being turned, like rotting earth. It’s absolutely gorgeous once turned, though. I agree that it has an earthy smell. I don’t find it unpleasant though. I have turned severl things from texas ebony but have a hard time finding any .